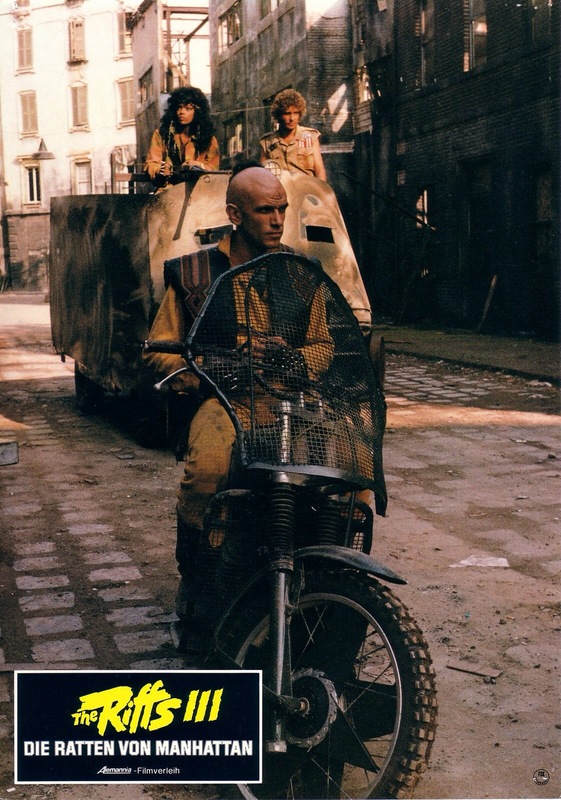 Tagline- Mutants of a Nuclear Disaster. When it comes to the films of Bruno Mattei I can’t confess to being a huge fan of his work, but I easily get the appeal of his films. 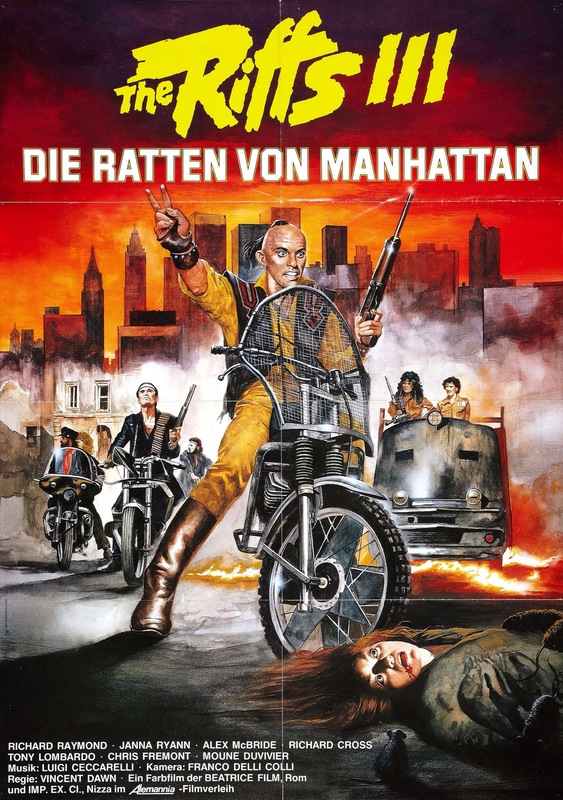 Quite honestly the only films by Mattei I enjoy are Rats and Hell of the Living Dead and to some degree The Other Hell. 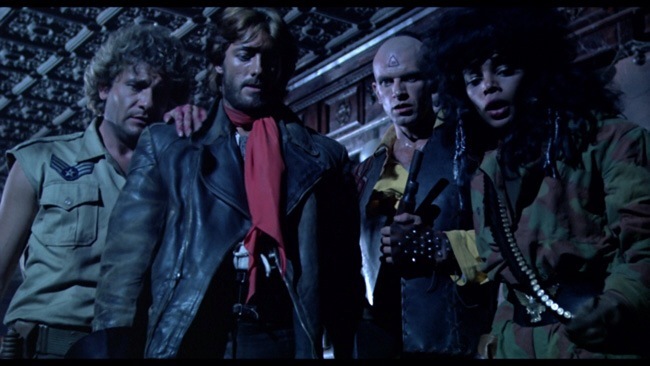 I can tolerate some of his other films, but only Rats and Hell of the Living Dead are the films I find myself revisiting. By many Mattei is considered the Italian Ed Wood and I think I’d have to agree with that. 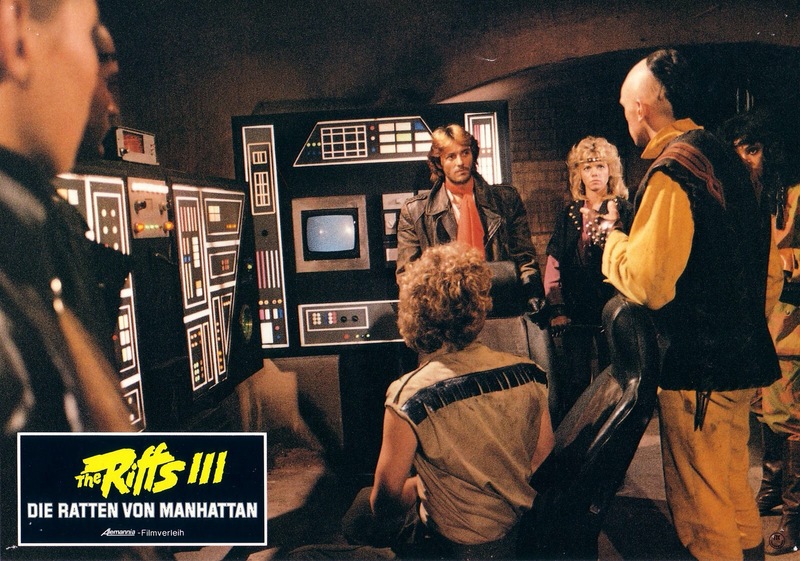 Bruno Mattei was very much one of the kings of schlock cinema and his films aren’t exactly high quality and I think Mattei was very much aware of that. His goal was just to craft a fun film and seeing as he’s gained cult status its obvious he was able to accomplish that in his career even if a lot of what made his films fun weren’t always intentional. I enjoy some of Ed Wood’s films and I also enjoy some of the films by Juan Piquer Simon (Pieces, Slugs) who’s often dubbed the Spanish Ed Wood so I again easily get the appeal of Bruno Mattei, but I find the good bulk of his work to be a bit sluggish at times and I go from enjoying them to getting a bit bored. 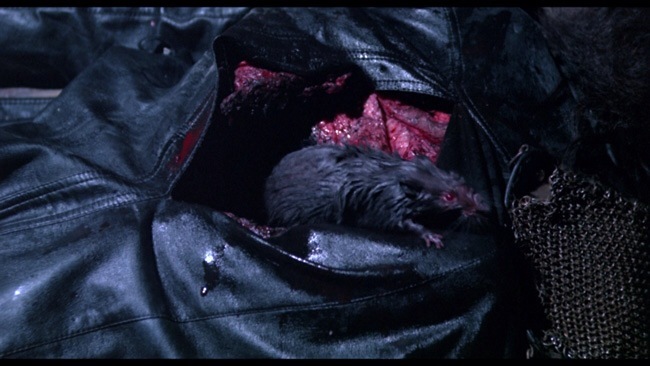 Hell of the Living Dead is perhaps my favorite film by Mattei, but Rats would be a very close 2nd. I knew of Rats, but never saw it and I bought the DVD when it was released by Blue-Underground and it just sort of sat there on my shelf for a few years until I finally watched it in 2013. 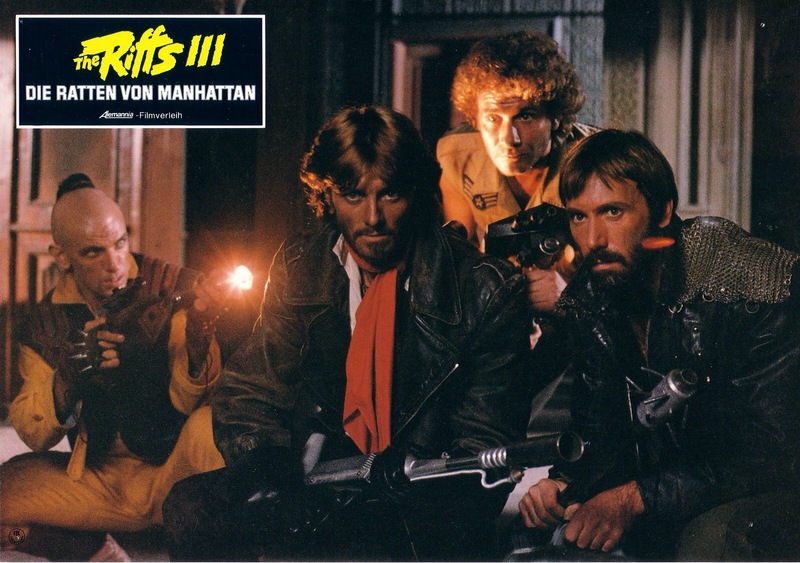 As I mentioned even in the films I enjoyed by Mattei I still have issues with them and Rats as stated is no exception and while the film may have been better served with a little bit of editing to tighten the pace, but when all is said and done Rats more or less proves to be silly fun and the twist at the end of the film is one of the most absurdly hysterical things I’ve ever seen and its an ending that has to be seen to be believed! . 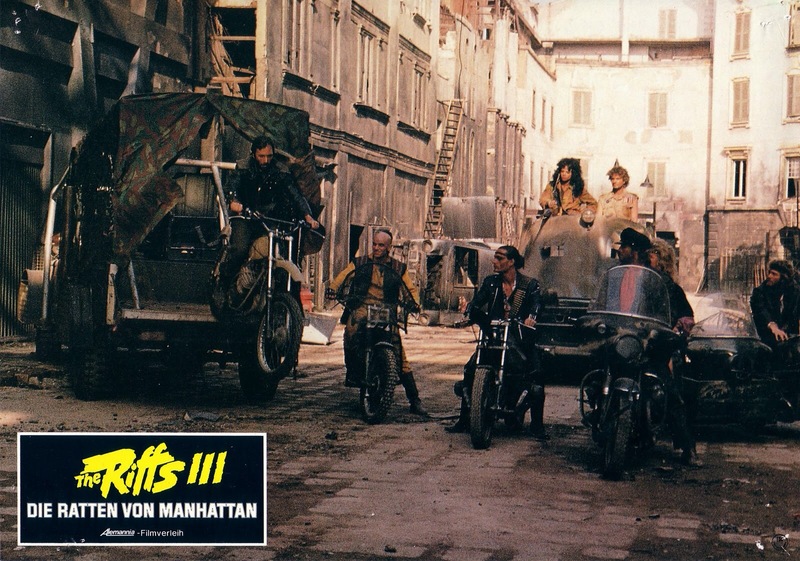 The good portion of the films Bruno Mattei is known for were written by Claudio Fragasso and Fragasso also served as co-director though only Mattei received the directing credit however during the opening credits for Rats, Fragasso does get his own credit as co-director under the name Clyde Anderson. 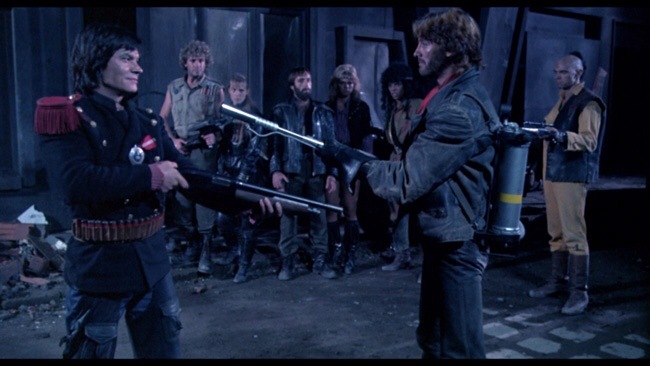 The partnership between Mattei and Fragasso would last several more years with such films as Strike Commando and Zombie 3 (half the film was directed by Lucio Fulci, but reshoots Mattei & Fragasso). 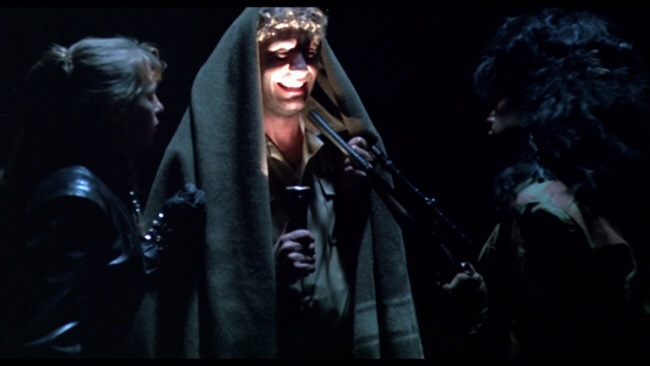 However around the time of Rats, Claudio Fragasso would also start making films on his own without Mattei mostly using the alias Clyde Anderson or Drake Floyd and his first directing credit was Monster Dog (1984), which starred Alice Cooper and his other notable credits would be Zombie 4: After Death and the infamous Troll 2. After nuclear war has ravaged the planet a group of survivors head up to the surface to find supplies, but along the way come across thousands of rats that have a taste for human flesh! The screenplay by Claudio Fragasso & Herve Piccini is a lot of fun filled with characters who more often than not make the most idiotic of choices. While the characters lack depth they are however quite fun to watch as they say the silliest of things and as stated make the most moronic of choices. 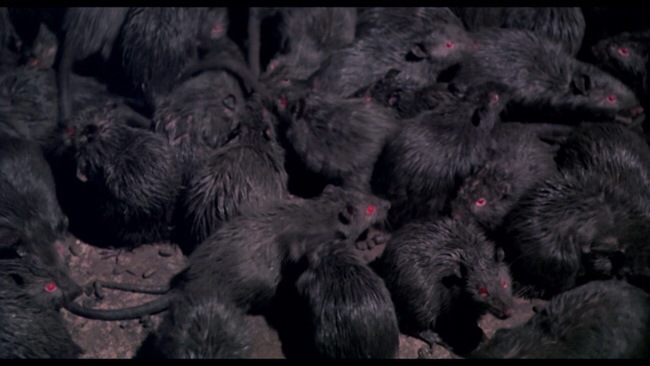 The basic idea behind the film was Night of the Living Dead only instead of zombies they’re replaced with Rats. The concept is quite absurd and if you know the work of Claudio Fragssso you should know exactly what to expect. Even if not intentional, Fragssso’s writing and directing is schlock and I don’t think any of us would want it any other way, however with that said the writing here is probably better than the bulk of Fragssso’s work and while they may not exactly be a glowing compliment, but at the end of the day the absurd nature of the script by Fragssso & Piccini is a lot of fun. Director Bruno Mattei under the name Vincent Dawn crafts a fun film that’s quite absurd and silly, but is generally a fun film in its idiocy. Running at 94-minutes, Rats can still feel a little overly long in spots, which as mentioned is the issue I have with a lot of Mattei’s work. 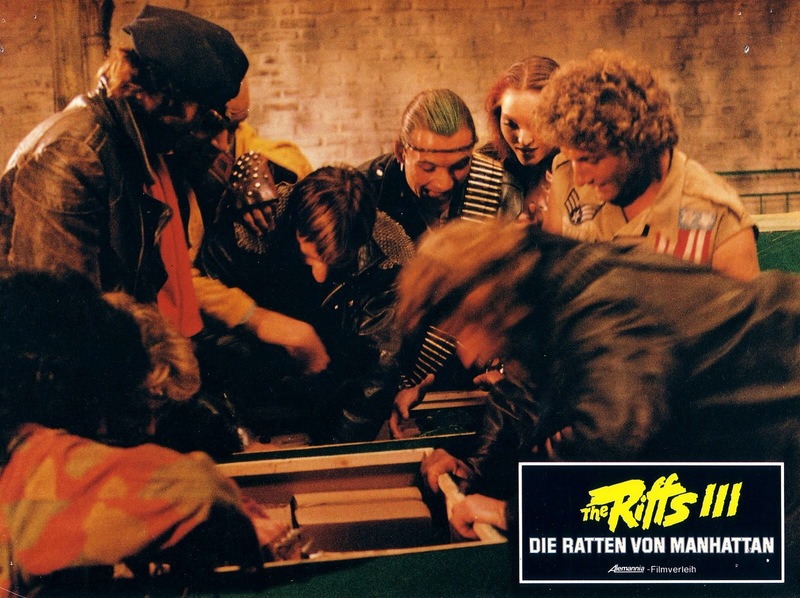 Despite his best intentions, Rats is quite light on suspense, but what it lacks in suspense it makes up for in fun. Claudio Fragasso played a big part in the direction and in some cases he may have been the driving force in the films he worked on with Mattei. 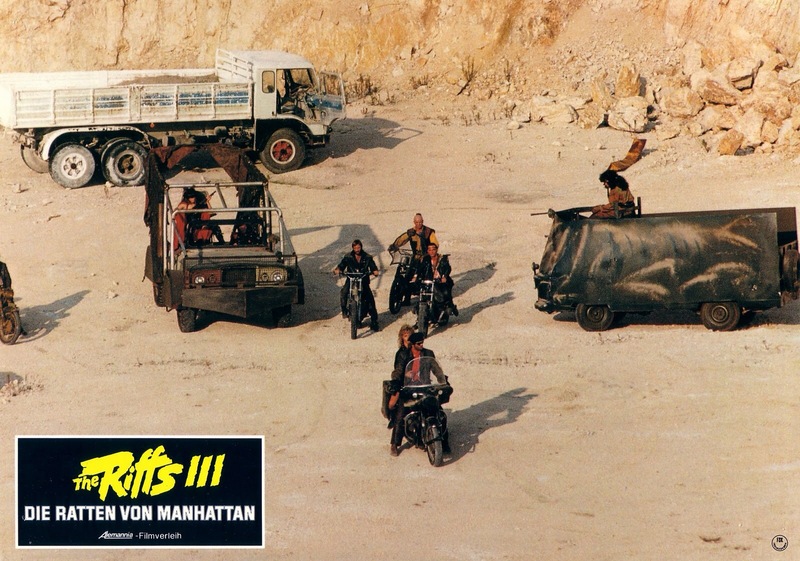 Rats is a low budget film, but to the credit of Mattei & Fragasso it does look professional. 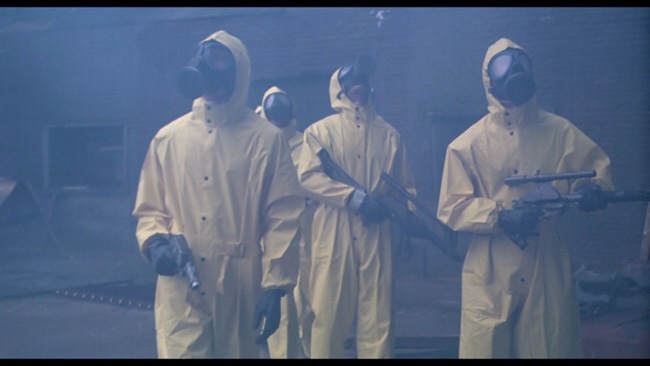 For me the film works due to my fear of rodents and there are some creepy moments, which have more to do with my fear of rodents than the direction. 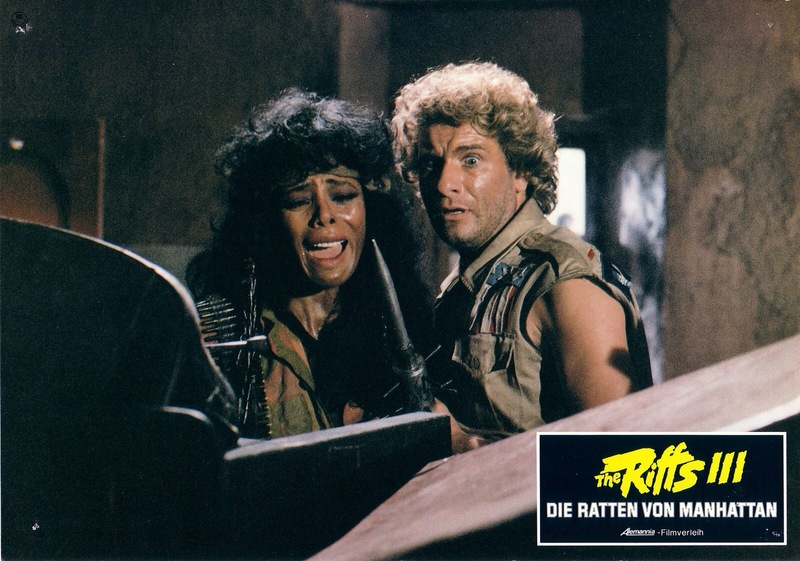 Rats is schlock cinema at its finest and while the pacing can be sluggish, but Mattei and Fragasso deliver a fun ride. The cast is actually quite strong and fans of Italian horrid will no doubt recognize many of the cast members such as Ottaviano Dell’Acqua under the name Richard Raymond, Massimo Vanni under the name Alex McBride and Geretta Geretta under the name Janna Ryann being the most notable. Bruno Mattei would pass away May 21st, 2007 at the age of 75 from a brain tumor. 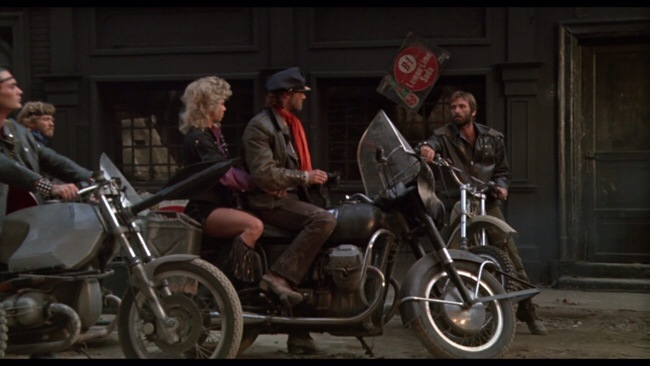 The height of his cult following were in the 80s, but he continued making the same type of films he was known for throughout his career even as other Italian filmmakers moved onto other genres or retired. 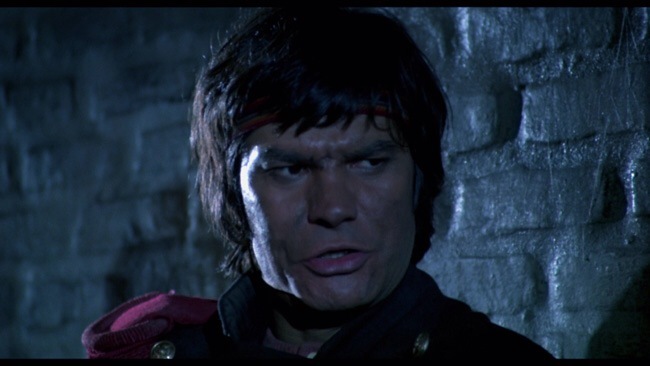 Even towards the very end Bruno was still at it with his last 3 films being The Jail: The Women’s Hell, which was a WIP film and than there was Island of the Living Dead and Zombies: The Beginning with both being released in 2007 the year he died. The fact that Bruno never strayed too far at least to me shows he had a passion for what he was doing. The market for these films were fading in the early 90s and were basically dead by the end of the 90s and as for Italy these kind of films for the most part died in the very early 90s. But yet Bruno kept churning them out even in the last few years of his life. 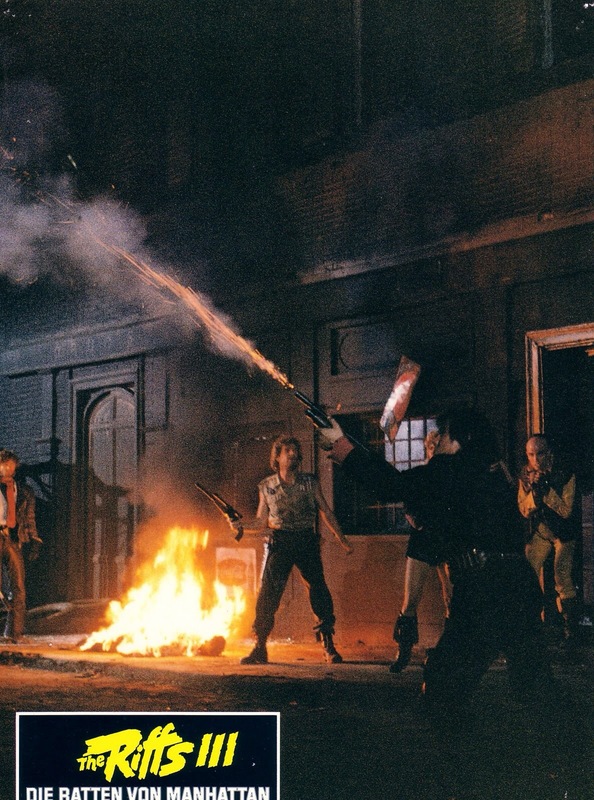 I can’t really see these films turning much of a profit, but I can’t say for certain, but seeing as his partner in crime Claudio Fragasso moved on as did such filmmakers as Umberto Lenzi and Lamberto Bava my guess is passion in these films had to be the biggest reason he never stopped making them. 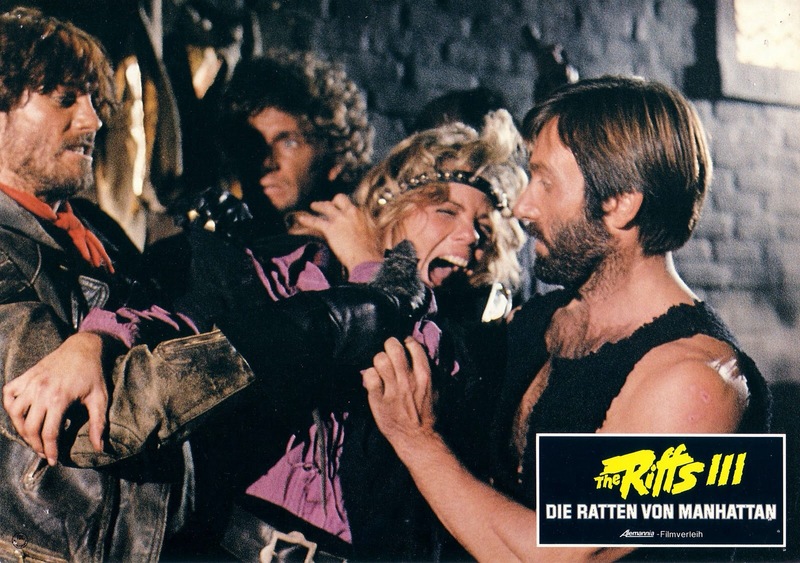 Rats was released on blu-ray by Blue-Underground on August 26th, 2014 in a double feature along with Hell of the Living Dead carrying over all the same features with a brand new documentary, which covers both Rats and Hell of the Living Dead and actually has some of the actors taking part as well as Claudio Fragssso. While there are little tidbits on Fragssso & Mattei the good bulk of the documentary focuses on the two films. 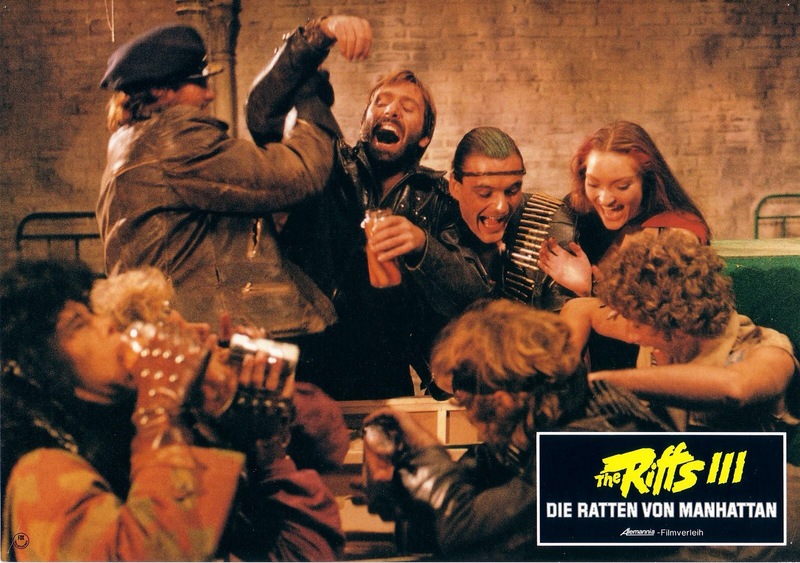 As for the audio and video on Rats it’s actually quite terrific and makes for a major upgrade over past DVD releases. The blu-ray release is not only one of the top releases of 2014, but also one of the best from Blue-Underground.